In celebration of EARTH DAY, I went to the local recycling plant and dropped off a bunch of old computer monitors (5 of them) and some old electronics, a broken tea-machine (like a coffee-maker, but for tea-drinkers like myself), some old worn surge protector strips, extension cords and whatnot, that would otherwise have polluted the planet in some landfill. Many retail stores will accept old monitors, but they sometimes charge you a fee for "glass handling" or somejunk. Nevermind that they just resell the items to junk dealers or trade them in for a profit all their own. Instead, if you can't give away old electronics, or donate them to a worthy cause or charity (many schools would LOVE your throw-away old monitors - and will give you a tax-deduction for your donation), then at least make sure to drop them off at a recycling center or salvage yard, where they will be processed properly and the harmful chemicals and agents inside of them. The guy there even PAID ME cash money for the wiring (there's copper wiring in the surge protector strips and extension cords). It's always best to not pollute Mother Earth. She will be ever grateful. Story: Kurt Busiek and Jo Duffy. Pencils: Ivan Reiss. Inks: Randy Emberlin. Colors: Tom Smith. 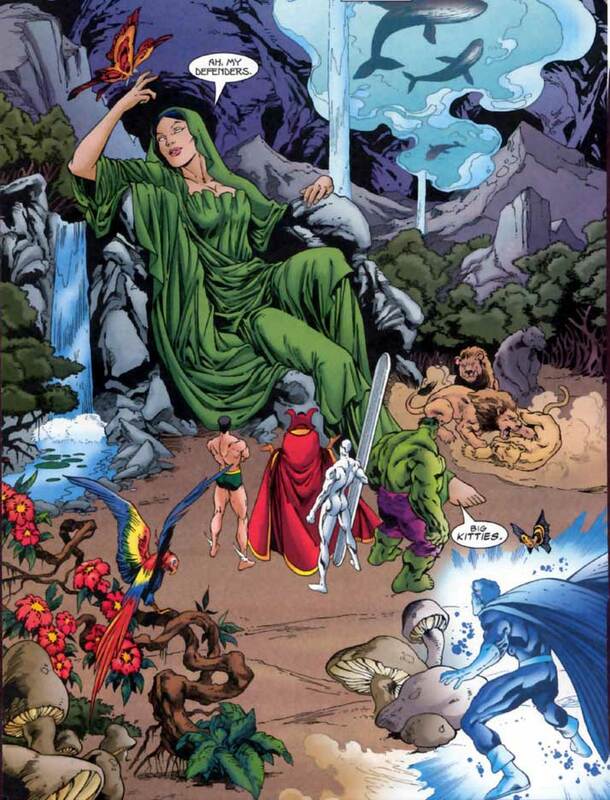 For more on Doctor Strange's history of saving Gaea, check out LAST year's Earth Day post [HERE]. STRANGE THING... You make my heart sing! LOVE... Like THUNDERBOLTS Straight to My Heart! As I stated at the end of my last post (Part 1 of this 2-part "Ode" - [HERE]) issue #155 of THUNDERBOLTS, could perhaps be nominated as a contender for my all-time favorite comic book. (qualifier: At least my all-time favorite that teams Man-Thing with Doctor Strange - and yes, there have been several others over the years). ...with a new, heretofore unknown name and purpose. ...shown regaining much of his cache' of knowledge and ability. ...combining her dangerous and heroic aspects. ...and mention of Doc's time with the Ancient One. ...my new Fave comic writer of the past few years. Jeff Parker starts the issue off strongly... and not just a bit "strangely" by immediately rectifying a glaring mistake made by Brian "I don't read or care what came before, I just make 'em up as I go along" Bendis, over in the New Avengers. 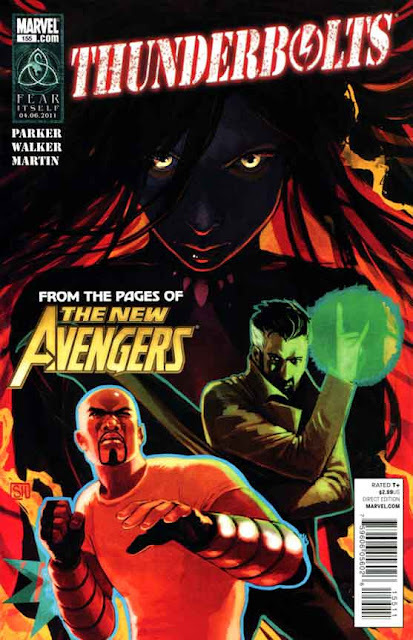 In recent issues of New Avengers, Bendis had Dr. 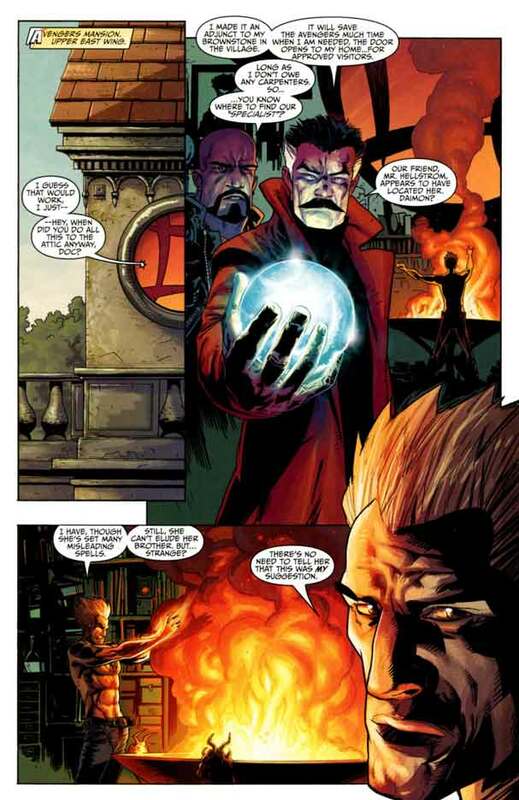 Strange (and Strange's manservant/assistant/acolyte; Wong) move into Avengers mansion, because (Bendis believes) Strange's Sanctum Sanctorum is uninhabitable - despite several issues of other titles' showing Doc and/or Wong actually fixing up the place. Parker puts that mistake to bed by explaining that Doc has set up a mystical doorway from his Avengers Mansion attic-space to his Sanctum-proper - for anyone worthy of admittance. 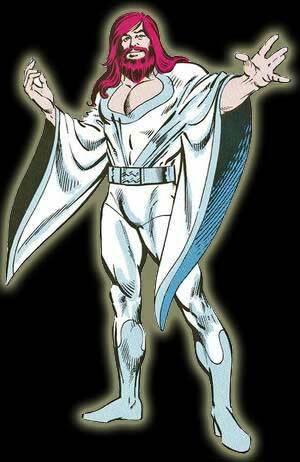 "I really set up the mystic portal to keep out that hack; Bendis!" In this way, Parker sets up an elegant solution to Bendis' ham-fisted handling of the former Sorcerer Supreme, by allowing Strange to actually live in his own home, all the while permitting other writers' (Bendis) to have Doc keep a room in the Avengers' mansion. This is not the only saving grace that Jeff Parker blesses Stephen Strange - and us - with, after long mistreatment by Marvel writers and editorial direction. In this entire issue, Doctor Strange is allowed to handle mystical threats with credibility, obvious experience and deft ability. He is able to wield magicks, of major and minor merit - successfully, never once failing or seeming inept or as one who is any less than a former Supreme Sorcerer. 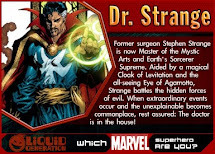 Parker's Doctor Stephen Strange is a wizened, learned, adept, who just happens to be without his big guns and/or trappings, yet who is still a proficient user of magic. 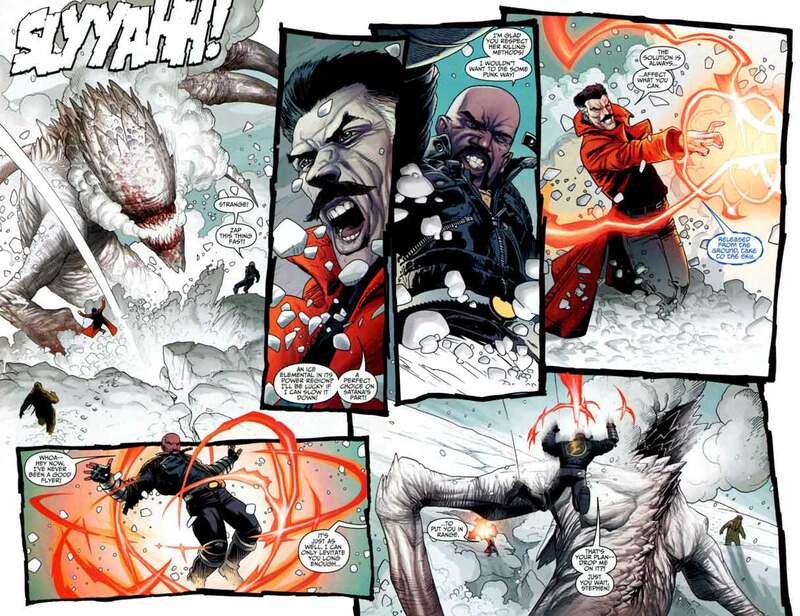 Even when Strange is forced to admit that he is no longer up to being able to easily deal with a situation - like Satana's protective barrier - Jeff Parker allows Strange to show that he is still up to the task... just that it might be a little more difficult to accomplish. How so unlike the handling of Strange by his main "caretaker", Bendis, whom, it seems, can find no other way to show Strange as being "weakened" than to show him fumbling, failing and fretting at every challenge. Also gone are the useless "footnoted" spells that Bendis seems to feel "authenticate" his new "rules of magic" (despite that, here, already is a break in those aforementioned rules, and thank goodness!) - as Parker allows Doc to cast spells with elegant simplicity. 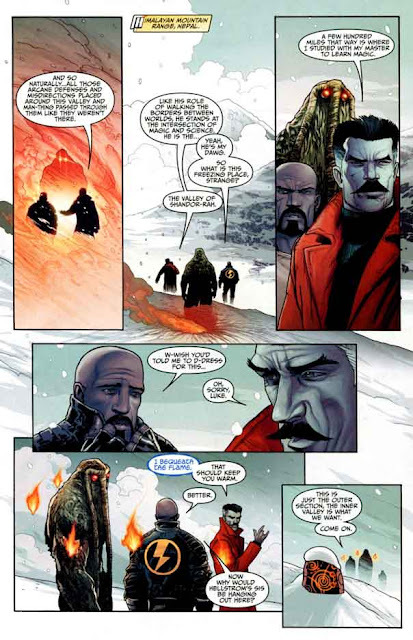 One such spell being; "I bequeath the Flame" - as a method to keep Luke Cage (and Man-Thing) from freezing as they stride, ill-prepared, in the Himalayas of Nepal. That's a nifty trick to know - as I feel the cold far more easily in my advancing years. 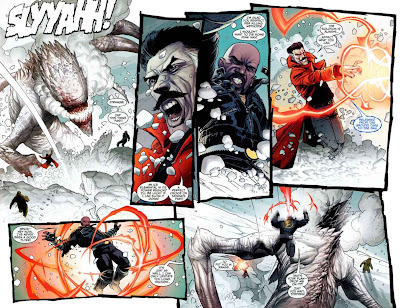 While the hermetic hobbling that Marvel has administered to the long-time Master of the Mystic Arts has indeed made Strange more of an "earth-bound" mystic (at least inasmuch as he no longer just snaps his fingers and "Deus ex Machinas"-away his foes), Jeff Parker remembers that being a magic-user is less about "powers" and more about knowledge - that once learned, can not easily be eradicated. In this, Jeff Parker writes Strange beautifully. He has the good Doctor balance the abilities and techniques of magic casting in an almost D&D (Dungeon & Dragons) sort of way. There are checks and balances in magic. Preparations and costs. And some instances where you are out of your element and must make due with other means. Check out Man-Thing's "woah" pose in the last panel. Isn't he adorable? When faced with actual elemental entities, Strange knows that they are in their domain, and he - especially in his depleted state - can only keep them at bay long enough for other spells and methods to work. In one instance, to "affect what you can" and toss an invulnerable fighter into prime logistical placement... and in another instance, to set up a counter-spell to nullify its anima. The fact that in these instances - as well as the end-game gambit (which I won't give away) wherein Strange out-thinks / out-maneuvers his opponent, something he used to do ALL. THE. TIME. 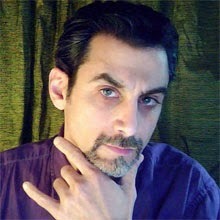 back in his best-of days... shows that in this writer's hands, Dr. Strange is once again a true MASTER of the Mystic Arts! This page has one Man-Thing and lots of "Woman-Things". Something that I was not happy about was that the battles with the elemental creatures ended with no real sense of accomplishment. The first one having been fought and defeated almost entirely off-panel in the span of time it took to flip the page. Another mild gripe is that Daimon Hellstrom, the 'Son of Satan' is, once again, played as a bit of a punk (not "punk" as in "punk rocker" - although his shirtless mosh-pit fashion might make such a connection, but as in "this loser is a punk"). Having him show fear (or at least a "healthy respect") for his sister's wrath, seems a bit out of character. Although, as of late, that "walking-the-line-between-nice-guy-and-hell-lord" IS his character. 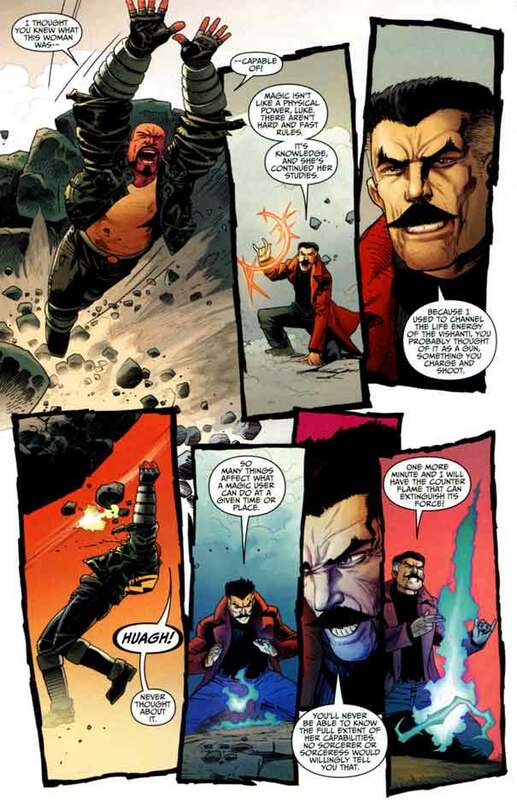 Another mild qualm is that Doctor Strange looks more like Joseph Stalin or some East European version of J. Jonah Jameson than himself. 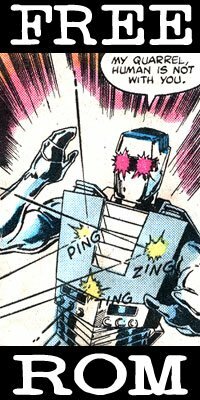 However, this is the only misstep of artist Kev Walker, who otherwise turns in a stellar issue! Walker avoids the pitfall of having Doctor Strange always use the American Sign Language finger gesture for "I love you" (or "devil's horns") when casting spells. Instead having the former surgeon's nerve-damaged phalanges contort into weird gesticulations. 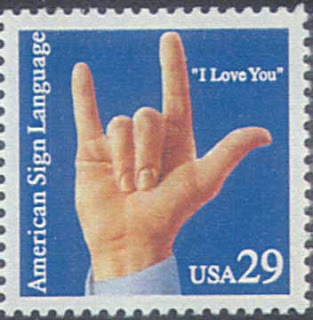 American Sign Language" symbol for "I Love You"
Also, as usual, his Man-Thing is picture perfect. I can FEEL his Man-Thing. (Now isn't THAT a sentence that can be read into all wrong...) Kev Walker's "Swamp Walker" has a unique combination of dumb, vegetative body with deep, soul-searching inner-being. The eyes of the Man-Thing have never been more piercing, calming, alarming, imploring or endearing than they have in the pages of this title. 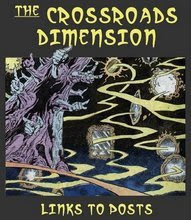 That added spark may also be due to the work of color artist; Frank Martin, whose shades and hues add all the right touches to the settings and characters at play in these pages. Still, as good as his work is on all the other aspects of the title, I can't help but feel that he is giving extra attentions to making the Man-Thing more alive. As I have stated in other posts, THUNDERBOLTS has become THE comic that I must read first on its given release date. It has revived my waning interest in modern comics and infected me with that youthful love of the medium that I first felt when reading quarter-bin copies of the original 1970's Man-Thing series. I can't help but think that unless something truly remarkable comes out in the next 9 months, that THUNDERBOLTS # 155 will win my "BEST OF" SANCTUM AWARD for 2011.